The 72nd Ave Recovery Center embraces the philosophy of recovery. The services in this residential setting are guided by the belief that, with support and the opportunities to learn and connect with people, every person can create their own recovery from mental illness, reclaim hope, build skills, and create a meaningful life. Referrals to the program are made by the Multnomah County Human Services Department (Mental Health Division). Prospective applicants are either in one of the three Oregon State Hospitals or from a variety of local Acute Care Psychiatric Units. Adult males 18 years and older, who have a primary psychiatric diagnosis of Axis I and who have had extensive institutional experiences. The services in this residential setting will be guided by the belief that, with support and the opportunities to learn and connect with people, every person can create his own recovery from mental illness, reclaim hope, build skills and create a meaningful life. 72nd Ave is grounded in the premise that recovery can occur even in the presence of symptoms and functional deficits of severe and persistent mental illness. 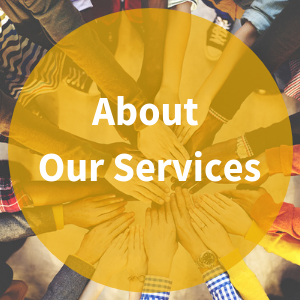 Consistent with a recovery philosophy, services are designed to promote and support wellness and meaningful life experiences, and to promote and encourage the learning of skills necessary to live a satisfying life. These services will not focus solely on symptom reduction or management. The program is designed to integrate substance use, medical conditions, and mental health services. This design recognizes the prevalence and impact of trauma on residents served in the program. Services are provided within a structure that allows development of therapeutic and collaborative relationships between staff and the residents who receive the care. The creation of a safe environment is central to the provision of services in this setting. Consistent with the recovery philosophy, prevention of aggression and maintenance of safety are integral to the treatment environment and will be incorporated at each point of care. Consistent with positive behavioral supports, residents engage in learning processes that help them make effective choices, reduce the amount of harm in their lives and increase their personal strengths.